You may not have seen reclaimed granite within a landscape before, but using context clues, you already know what this material is. 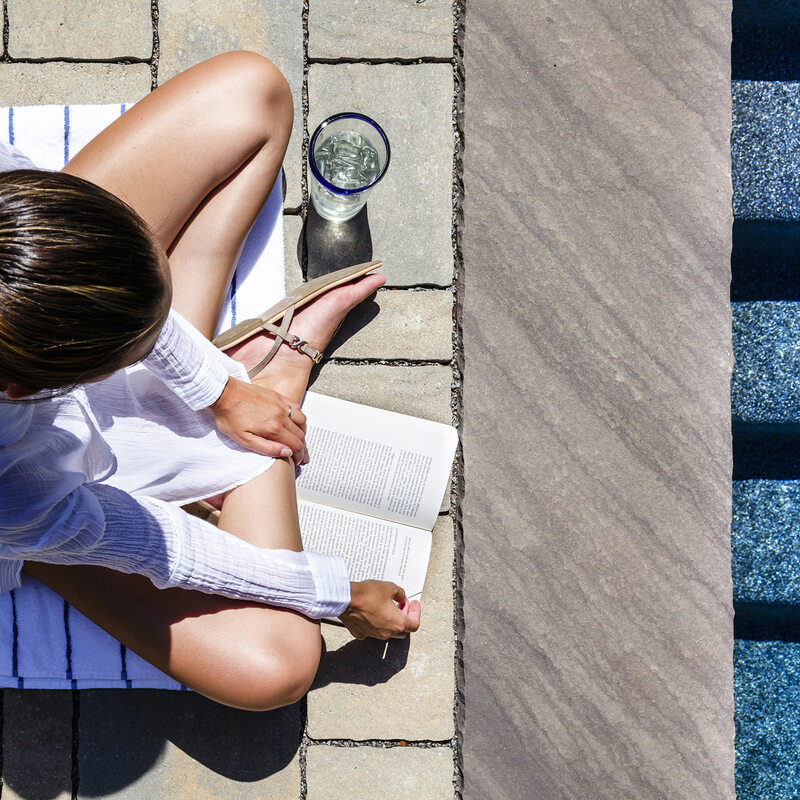 Reclaimed granite is harvested from long-standing buildings and structures and repurposed to be used within the landscape, incorporated into patios, walkways, pool coping, accessories…etc. First-generation granite was primarily made with hand tools, giving it its natural look and feel. Generations of weather-wear gives this material its earth-tone color palette and unrefined appeal. Virtually every piece of this granite is equipped with its own tale to tell. To our great fortune, there are still stone firms and yards existing today that recognize the labor and craftsmanship that exude from these pieces, making the materials available to be born-again! Fortified with a new-found function, this unique and stoic stone can be used in many straightforward yet reimagined applications. As a material that stood the age of time, a little creativity will go a long way in present usages. For example, hand-carved granite troughs once used to hold sustenance for animals on the farm have long been forgotten…until now. No longer serving a purpose to hold water and grains on the grange, these troughs are now being recycled into objects like landscape planters and water features. Slabs of antique granite that once were edifice foundations have been reconditioned into benches, building stones and garden accents. While the purpose may not be the same, there is a certain charm this material brings to the landscape. Not only is the stone strong, secure and substantial, it seems to bring an air of sophistication into its environment. From smaller scale applications like landscape accessories, to more ambitious campaigns like hardscaping, this stone is wonderfully versatile. For homeowners looking for that certain material to take their property to the next level, this granite is an absolute contender. Regarding hardscaping, the possibilities are only limited by your imagination. 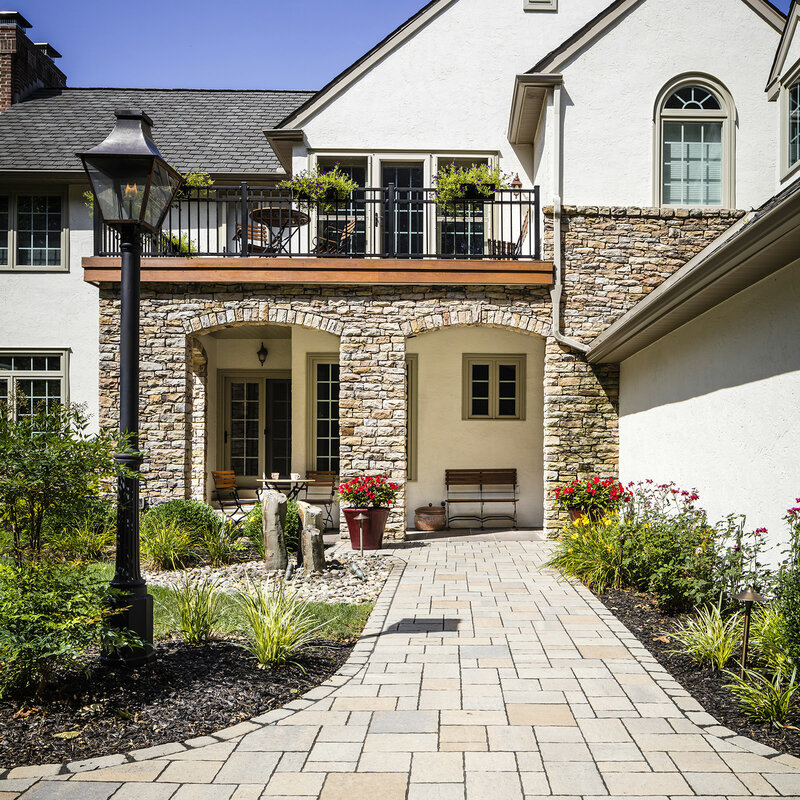 Reclaimed granite cobblestone lends timeless style and allure to driveways and walkways, while granite slabs breathe new life into curbing, retaining walls, stepping stones, staircases…etc. Looking for a more hands-on functional application? 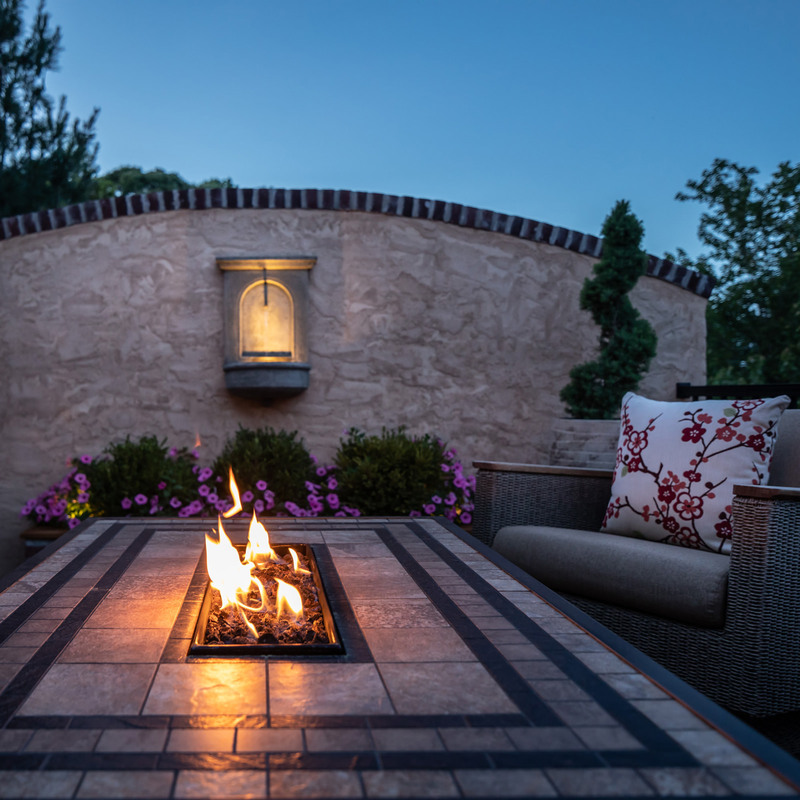 Talk to your landscape designer about the possibilities of fashioning the granite slabs into a fire pit and surround seating! Unconventional? Maybe. Captivating? Definitely! 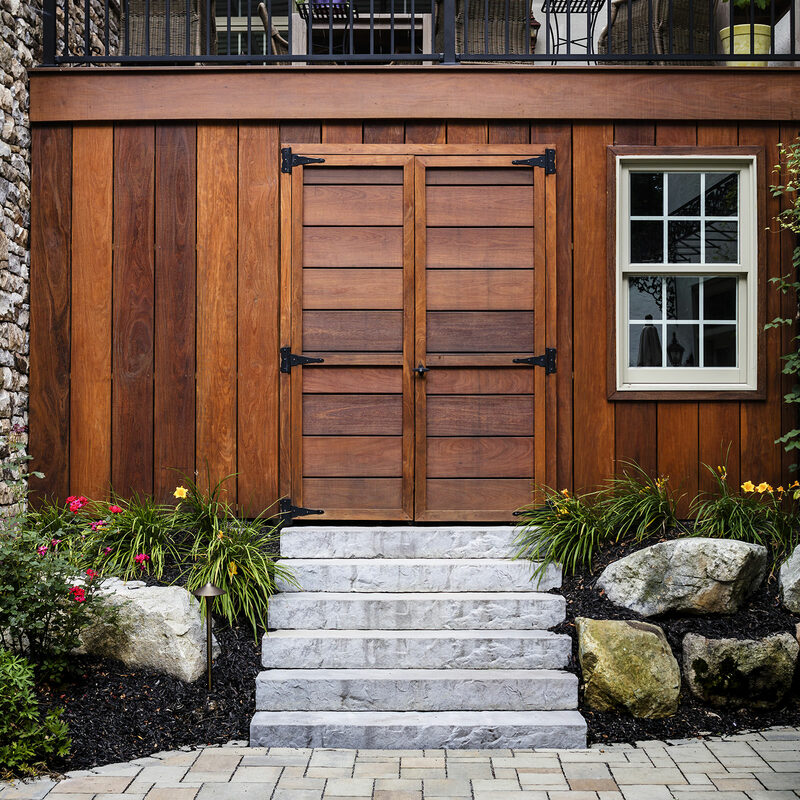 So, what are the benefits of using reclaimed granite in your landscape design? We are so glad you asked! Aesthetic. The appearance of reclaimed granite only gets better over time. The weathering process will continue to give the granite individual and collective character and uniqueness. Durability. This stone was here before you, and it will definitely be here after you! Charm. No matter the age or motif of your home, reclaimed granite can be incorporated to complement its style. Just because reclaimed granite is traditional in origin, doesn’t mean its application can’t be innovative! Low maintenance. If decades of wear haven’t broken it down yet, chances are you won’t be able to either! Heat resistant. 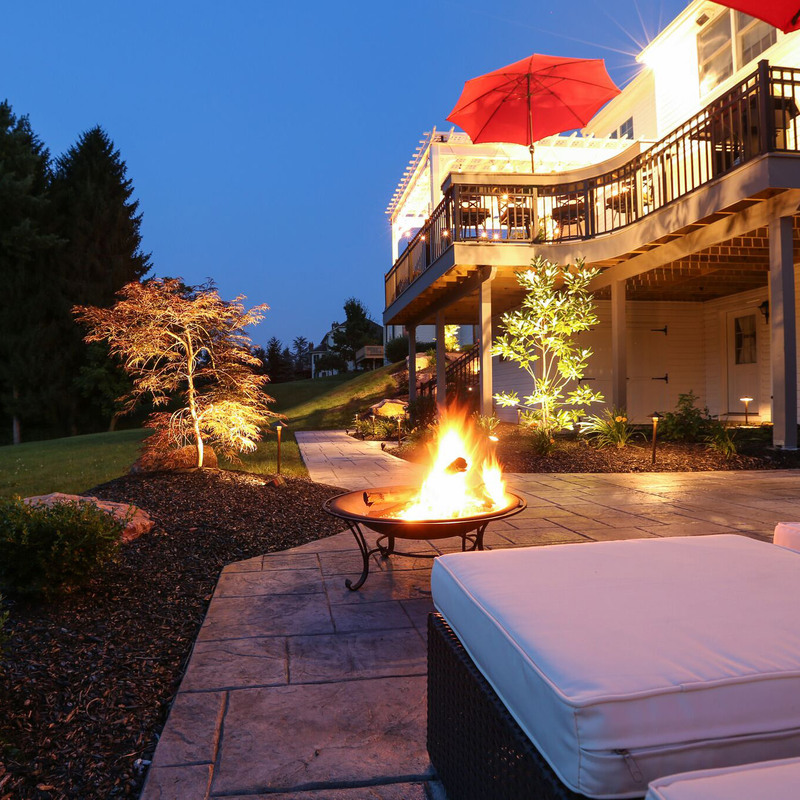 Known as a non-combustible material, reclaimed granite can be used as or near fire features, and remains comfortable in the summer for bare feet. Green. As a recycled material, this is a much more environmentally-friendly option than newer building materials. No waste or carbon emissions have been created from this natural material! Novel. While this is an antiquated material, not many firms in our area are implementing its use. Incorporating this material into your landscape design will set your property apart from the rest! Cost comparable. Intrinsic thinking would lead homeowners to believe that this original and substantial material comes with a hefty price tag, but the truth of the matter is that it is quite cost effective compared to modern day building materials! 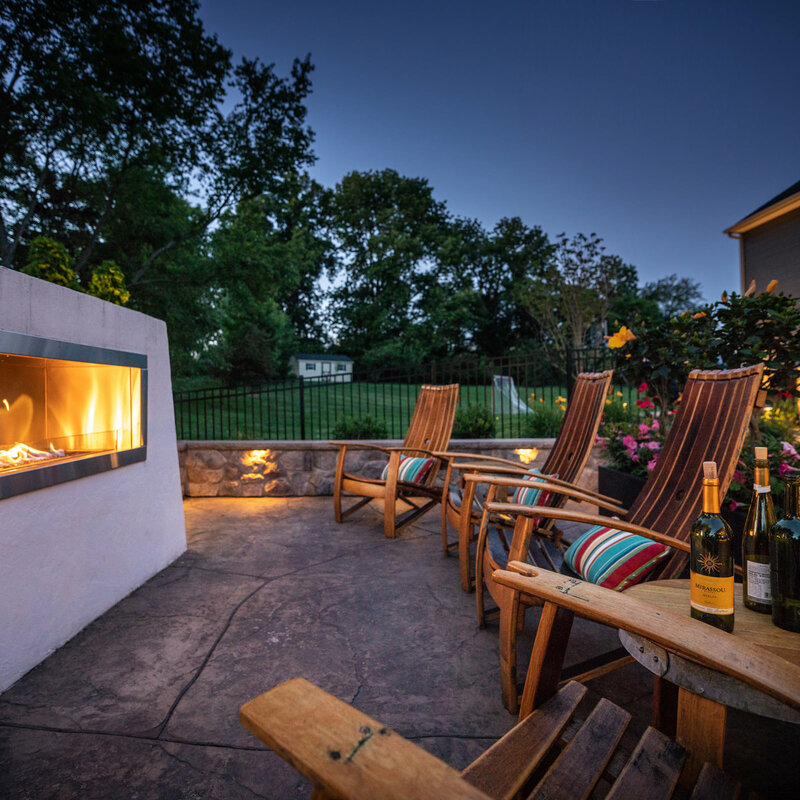 Here at MasterPLAN Outdoor Living, we like to venture outside of the box and create outdoor living spaces that are just as unique as your family’s dynamic. 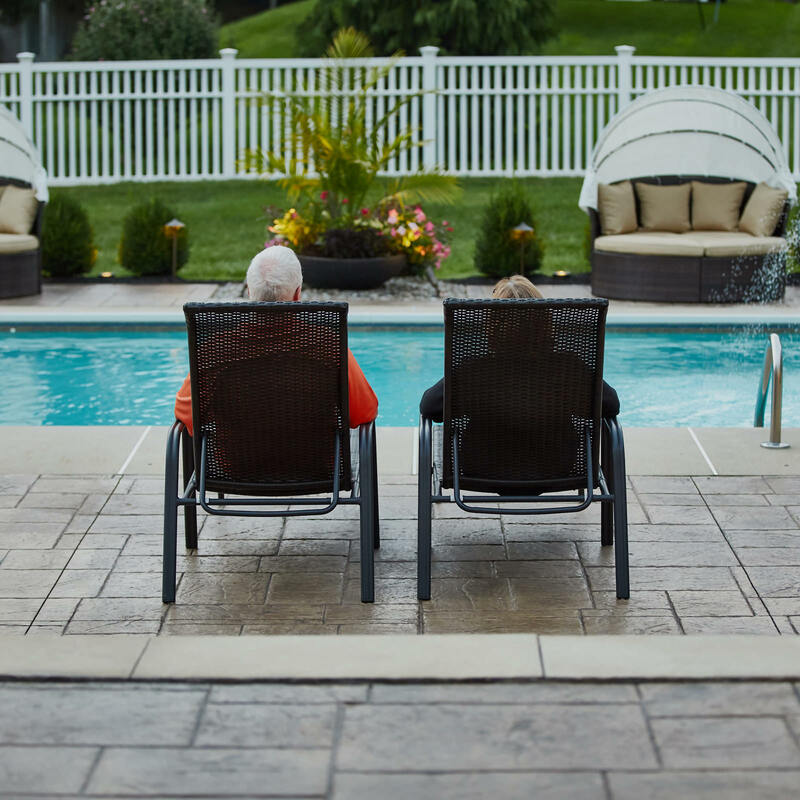 Custom-tailored outdoor living spaces, fit to your lifestyle, in materials that are low maintenance and beautiful are our specialty. 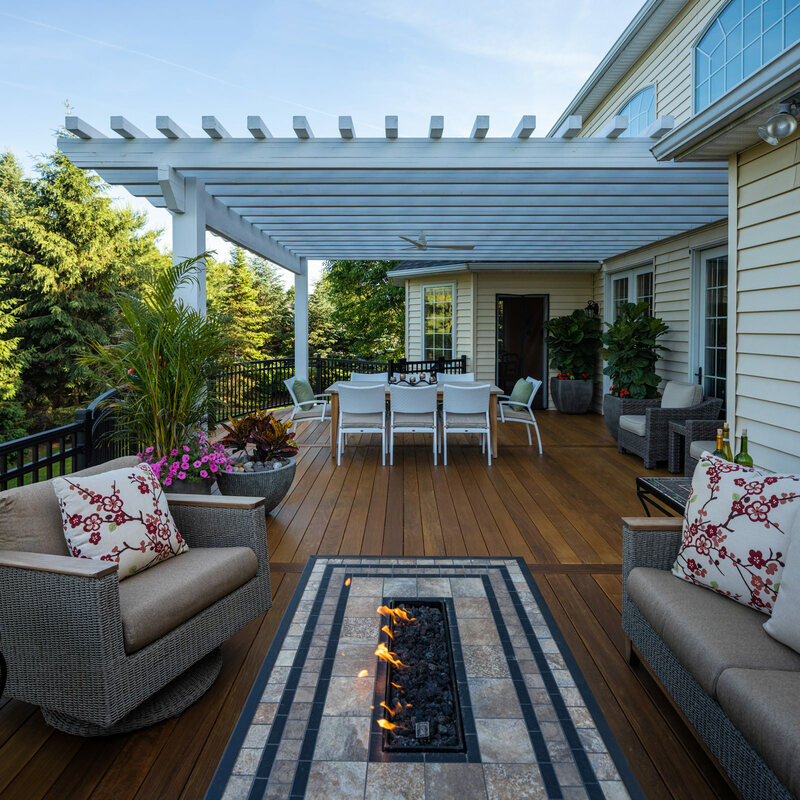 If you would like to open a conversation about the full potential for your outdoor spaces, reach out to us at MasterPLAN! 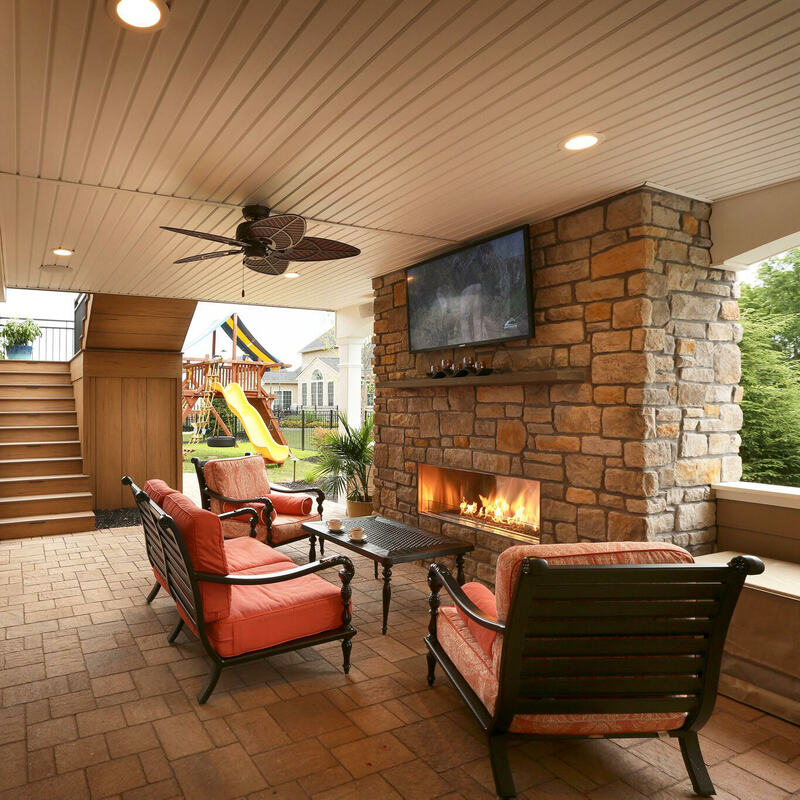 We would love to help you discover the true beauty and function for your space so your family can enjoy every outdoor moment for years to come! When you’re ready, we are ready.